Cumaru (pronounced Koo'-mah-Roo) is a responsibly harvested high-density hardwood species that grows throughout the northern portions of South America. Due to its beautiful graining and varied appearance, Cumaru is often referred to as "Brazilian Teak". Cumaru lumber is very resistant to decay and insects and is an ideal material option for exterior projects like wood decks, outdoor furniture, pergolas, gazebos, boardwalks and more. It is available FSC certified, if desired, and priced competitively to - and often lower than- many composite decking options. What's so special about Mataverde® Cumaru? Mataverde® Cumaru decking offers long lasting strength, durability and beauty at an affordable pricepoint. Much like Ipe decking, Cumaru decking has a remarkable toughness and strength making it an ideal decking choice for residential, commercial and public decks, boardwalks and more. 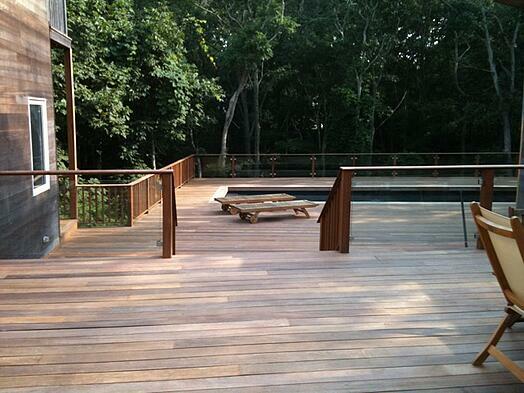 Mataverde Cumaru lumber and decking is also available FSC® certified. As part of Mataverde's commitment to the environment, our Cumaru decking and lumber is a rapidly renewable hardwood species (as with all of our natural wood products) which has been responsibly harvested and sourced. We also offer Cumaru decking and lumber that is FSC certified which will contribute toward a project's LEED certification. Mataverde® Cumaru Decking is so long lasting it is backed by a 25 year limited warranty against decay and insects. Mataverde® Premium Cumaru Hardwood Decking is all heartwood and can range in color from yellowy browns to reddish brown to a nearly purplish cordovan color. Although the coarser graining of Cumaru decking and Cumaru wood can appear similar to red oak, the exotic color range of Cumaru is spectacularly different. The grain variation of Cumaru is both dramatic and beautiful. Like a hardwood floor on the inside of a home, no two pieces of Cumaru decking will have exactly the same appearance. This rich variation of Cumaru decking reflects the untamed beauty of this spectacular, all natural exotic hardwood species. Cumaru exhibits lots of tropical character, striping and color variation and will develop a silvery gray patina over time if you choose to let your decking weather naturally. Mataverde® Premium Cumaru Hardwood Decking is an extremely tough and very dense wood with an irregular, interlocked grain and a coarse, wavy texture. Cumaru decking and Cumaru lumber are rated as Class A Fire Resistant materials. With a density that is even higher than Ipe, Cumaru decking and Cumaru lumber are both very resistant to termites and decay and can withstand all types of traffic and punishment. Mataverde® Cumaru Decking has good dimensional stability and shows only minor movement after it is kiln dried. Mataverde® Cumaru decking and Cumaru lumber are kiln dried to help minimize shrinkage and checking to provide a very stable deck surface that is just right for you. Mataverde Premium Cumaru Decking lasts...and lasts beautifully. Mataverde® Cumaru Decking is so long-lasting it carries a 25 year limited warranty against decay and insects. Cumaru is classified as a very durable wood species. From a durability standpoint, Cumaru hardwood is extremely hard and dense and will resist all types of extreme weather and punishment. Mataverde® Cumaru Decking has an extremely high performance rating and is naturally resistant to decay throughout all fibers of the wood. The high density and natural oils of Cumaru decking and Cumaru lumber make it highly resistant to termite attacks as well. Cumaru has a hardness of 3,340 lbs (more than double the toughness of Oak). The only high density hardwood decking product that is harder than Cumaru is Ipe. Cumaru decking and Cumaru lumber have a bending strength of 22,400 psi. That means it would take over 22,000 pounds of pressure per square inch to break a Cumaru board. The amazing strength of Cumaru wood is second only to Ipe among high density hardwoods. That is why a deck built with Cumaru has such a solid feel when you walk on it. Cumaru decking has very little "bounce" to it. Cumaru hardwood is so dense (1.07 g/cm3), it will actually sink in water. The high density of Cumaru helps contribute to its remarkable hardness and ability to withstand lots of abrasion and foot traffic. Like Mataverde Ipe, kiln dried Cumaru decking is also very resistant to wear and tear. Mataverde® Cumaru has been tested and received a Class A fire rating. 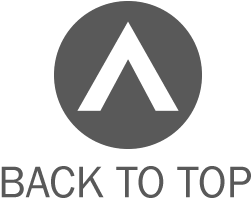 The ASTM E-84 testing conducted on Mataverde Cumaru decking meets the same requirements as the IBC (International Building Code) and the ANSI/NFPA (American National Standards Institute/National Fire Protection Association) to meet a Class A fire rating. 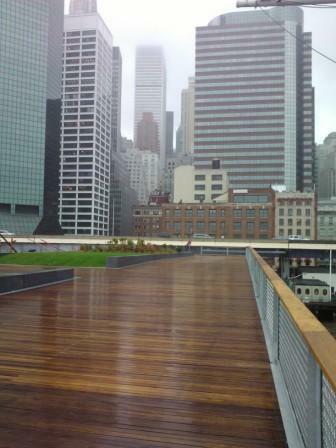 The natural fire resistance of Cumaru wood, makes it a great choice for residential, commercial and public decks. How Does Cumaru Stack up Against Other Types of Decking? Is Cumaru Hardwood Decking the New Ipe? Cumaru is such a hard decking material, special fasteners and installation techniques have been developed to make installing it easier and better than ever. There are several hardwood decking installation methods to choose from. The traditional method of installing hardwood decking is to pre-drill hardwood decking and then fasten the Cumaru boards with stainless steel screws directly to the deck joists. For large scale projects, the Ejector Screw is a major labor saving option. This method requires no pre-drilling and will securely fasten Cumaru decking to a proper substrate such as wood joists or sleepers. If you do not wish to see screw heads exposed on your Cumaru decking boards, AND you have adequate ground clearance and ventilation, a hidden fastener can be used. The Eb-Ty hidden fastener makes for a quick Cumaru decking installation. If you choose this installation method for Cumaru decking, however, we strongly suggest using narrower deck boards, such as 5/4 x 4 or 21mm x 4 nominal sizes. We have found that face-screwing Cumaru deck boards is hands down the strongest and most secure method of installing a Cumaru deck that you can be proud of years to come. CLICK HERE for additional information and installation techniques for Cumaru Decking and other high density exterior hardwood decking species. As with any decking material, Cumaru decking should be cleaned regularly to remove dirt and debris. Regular cleaning will actually extend the life of wood decking materials including Cumaru decking. For an extremely low maintenance option, Cumaru decking can be allowed to weather naturally to a graceful silvery patina. If you prefer the rich natural colors of Cumaru wood, you can put a coat of Penofin sealer, or other appropriate product, on your Cumaru decking. This natural oil finish will darken and enrich the tones and color of your Cumaru decking. 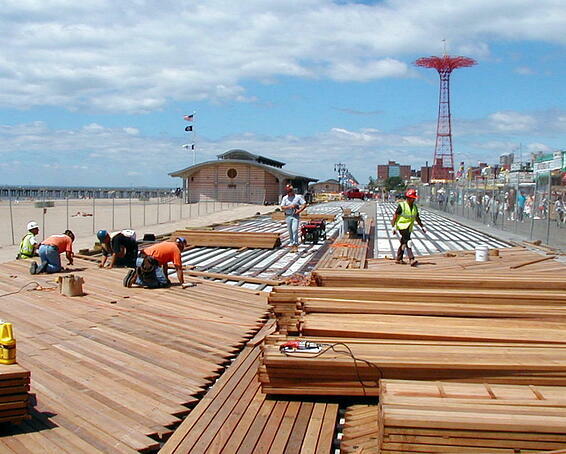 New York's legendary Coney Island Boardwalk was rebuilt using FSC certified Mataverde Cumaru decking. Extremely long lasting, tough and resistant to decay, insects and fire, Mataverde Cumaru makes a beautiful and long lasting addition to this American landmark.